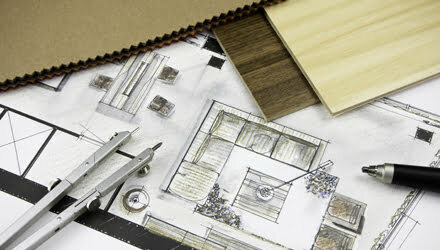 What is the Interior Design Diploma? 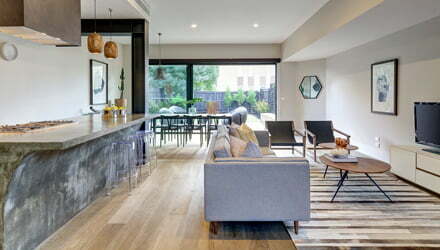 The nationally accredited MSF50213 Diploma of Interior Design a is the course if you are wanting to work as a residential and commercial interior designer. iscd’s Diploma of Interior Design is recognised by the Design Institute of Australia (DIA) as a quality Interior Design course. The diploma will provide you with the skills and knowledge to work as an Interior Designer for a firm or establish your own design business. Our Diploma of Interior Design and Decoration ensures you graduate with computer skills in Photoshop, InDesign and CAD along with hand drafting technical skills which you will combine with your creative concepts and design understanding to develop & create your clients their ideal space. Throughout your diploma program you will have industry excursions and incursions to gain opportunities to network for when you graduate the MSF50213 Diploma of Interior Design and Decoration. We are also here to help with the opportunities on our job board. Become an Interior Designer by completing the 29 Units of Competencies that make up the MSF50213 Diploma of Interior Design and Decoration. At iscd, the Diploma is completed over 1 year full time 20+ hours a week. A new release of the Diploma of Interior Design and Decoration MSF50218 comes into effect from 6th December 2018. The course is deemed not equivalent to the Diploma of Interior Design and Decoration MSF50213 by the regulatory authorities. We will advise you by email if this has any impact upon your current studies once a full assessment has been made. Please visit training.gov.au for further information or contact us if you have any questions. To read more on AIT click here. You can choose to make an upfront payment for your course or gap fee taken at time of enrolment. Study in Sydney or Online. After the completion of the Diploma of Interior Design + Decoration, many graduates secure industry positions or establish their own freelance business in Interior Design. Residential Interior Designer Commercial Interior Designer Soft Furnishing Consultant (working for the likes of a fabric company) Visual Merchandiser Interior Decorator Interior Stylist You can keep up to date with current jobs that are available now in the design industry on our job board. 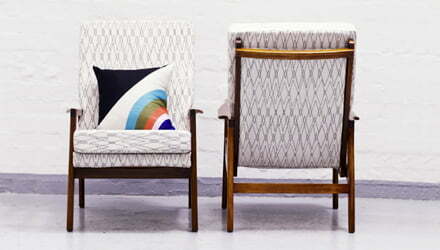 Soft Furnishings and their application in an interior space including suppliers, trades and specifications. Styling, providing interior styling services and researching and recommending furniture and accessories. Drawing and documentation of design concepts and ideas. Sustainability in design and reducing the negative environmental impacts of work practice. *Units of competency subject to change. ● Have access to a computer with an internet connection. With over 30 years of design industry experience and a forward-thinking focus and creative and supportive environment. You can complete your Diploma online from the comfort of your own home or at our campus located in Sydney. Work with our industry partners on design briefs and graduate with real-world experience. This course includes industry briefs and awards to provide you with strong foundations of working within the design industry. Study at home with our online program or on campus in Sydney in March 2019. Click here to read about online studies. Contact us on 02 8355 3838 or 03 8372 0000 to chat with a specialist course advisor about your study options, or let us know a little bit about you and we can call you back. Join us at an up coming Open Day or book a Campus Tour with one of our student advisors and see how you can turn your passion for design into a career opportunity. "iscd taught me not only the fundamentals of design, colour, styling, sourcing and presenting but the equally important nuts and bolts of how to set myself up with a workable business." Is this course not quite right for you?